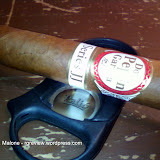 If you have ever had the privilege of smoking a cigar by CAO, you know what a quality cigar they are. 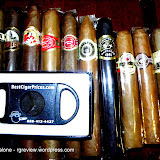 I can still vividly recall my very first CAO cigar; the Mx2 Rob. Delicious!!! Therefore I should not have been surprised when trying the La Traviata for the first time, but I was. Maybe surprised is the wrong word. More like reconnected or reminded. 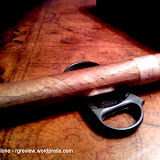 The La Traviata reminded me of all the reasons I enjoy a CAO cigar. Beautiful doesn’t quite do the La Traviata justice; with its robust Colorado-brown Ecuadorian wrapper and well pronounced band. This cigar nearly jumps out of the box at you. Trust me when I say everything from the velvet smooth wrapper to the cut, pull and straight-as-a-line burn were perfect with this cigar. 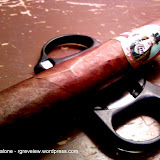 Then again this is CAO we are talking about here. 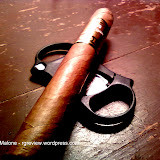 What captures your attention and holds it for ransom is the flavor of this medium-full to full cigar. It is straight leather doused in butter cream. I wish I were exaggerating when I tell you it melts in your mouth. 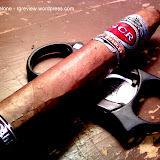 CAO in its description of the cigar indicates hints of peppery notes. I however am not able to concur. Nonetheless, I do not mind that for me they were missing. 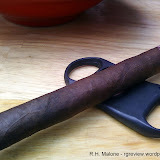 Coming it at $6.00 (depending on place of purchase), this cigar hits like a $10 stick easy. With Christmas days away do yourself a favor and pick up a few CAO La Traviatas for the cigar lover in your life. The thanks they will lavish on you will be more than you can possibly bear. Trust me. Sounds fantastic. 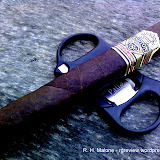 I’ve been hearing a lot of great things about this new smoke from CAO. Can’t wait to try it myself.